Matthew Flak (Chicago) - Book Appointment Online! 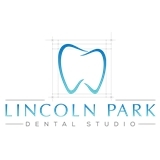 Lincoln Park Dental Studio Dentist serving Lincoln Park in Chicago, IL At Lincoln Park Dental Studio, our priority is to deliver quality care to informed patients in a comfortable and convenient setting. When you have dental problems, you need to turn to a dentist who listens and responds … an experienced doctor who knows the field and can effectively diagnose and treat your needs … a friendly dentist who counsels you on the best ways to maintain and improve your health. Plus, you benefit from a dedicated team of trained professionals who give you the individualized attention you deserve. Everyone was super helpful, knowledgable, and kind! I left the office with my teeth feeling more clean than they ever have before. I will definitely be going back and would recommend to anyone!